I’m not a tech-savvy person, so I don’t know why a tweet—“10 works or composers you never want to hear again”—from October 7, 2014 showed up on my twitter feed today. But it did. Norman Lebrecht, one of England’s most esteemed (and rightly so) music critics, replied with a list of the 10 works or composers he never wanted to hear again. At first, I laughed. I scrolled down Lebrecht’s choices, and then I read most of the 150 comments. As I did, my laughter slowly morphed into something more distressing. I started to feel hurt by some people’s choices. I went back to Lebrecht’s selection. How could he not want to hear Tchaikovsky’s music (except the last 3 symphonies and the violin concerto)? What’s wrong with Messiaen’s music? Bernstein’s Mass? And everything that Puccini created post-Bohème? Really? Is it because this music is overplayed? Badly interpreted? Or, in Lebrecht’s estimation, just poorly composed music? Then I stepped back and asked myself, Why be bothered by this? I sat and thought about this for a while, and then I realized how and why this “game” turned into a stab in my heart. It wasn’t because I’m overly sensitive. It was because many of these pieces and composers are intimately sewn into the fabric of my personal and musical identities. 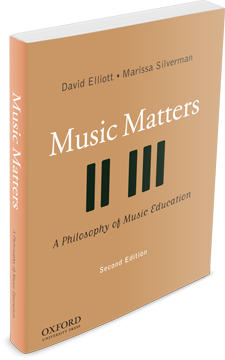 There’s a large amount of social and psychological research that examines why and how music and identity are deeply intertwined (see MM2, Chapters 3 and 5). So part of my hurtful response to this “little game” has to do with my personal attachments and lifelong musical experiences with pieces, styles, and composers that are part of my-and most people’s- emotional, everyday, and autobiographical narratives. By way of an olive branch, and because I don’t want to seem like a “bad sport,” let’s change the game. I’ll start. Here’s my list of the “10 works or composers I can’t live without”—at least for today. Ask me tomorrow and my list might change. What’s your list of the 10 works or composers you can’t live without? This entry was posted in Music, Music Matters, Personhood, Values. Bookmark the permalink.